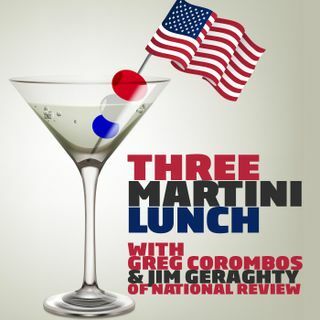 Jim Geraghty of National Review and Greg Corombos of Radio America blast Virginia Gov. Ralph Northam for suggesting that all of Virginia was as behind on race relations as he is and that only he can heal the divisions there because he's a doctor. They also explain why Minnesota Rep. Ilhan Omar is morally and factually bankrupt for suggesting that the only reason many lawmakers support Israel is because they get money from the American Israel Public Affairs Committee. And they patiently ... See More try to tell 2020 presidential candidate and New Jersey Sen. Cory Booker that debating climate change is not the same as fighting the Nazis.